Problems with a leaky bathtub are often traced to the overflow tube. The overflow tube is a safety feature that helps channel water that has overfilled the tub back down into the drain pipes before it can spill over the edge of the tub. But if the fittings on the overflow tube become loose, it can allow water to spill out and drip beneath the tub, where it might even ruin the ceiling in the room below the tub. Often, the impulse when a leak is noticed is to tear out the ceiling from below in an effort to fix the drain trap, when in reality, it may be the overflow tube that needs tightening or a replacement gasket. The overflow drain is very likely the source of your leak if you routinely bathe with the water level quite high, or if you have active children who slosh water playfully while they bathe. The following steps can help confirm that the tub overflow drain is the source of a leak and show you how to repair the problem. The tub drain fitting or trap is loose or faulty. Water is draining into the wall and down onto the floor from a faulty shower pipe or valve. The overflow tube is loose or has a bad gasket. 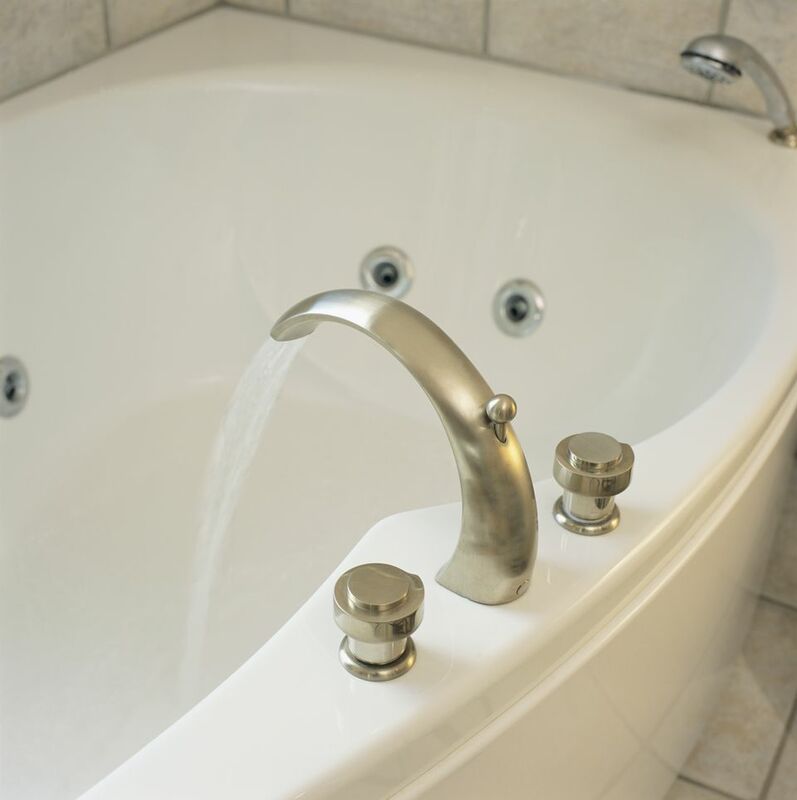 Start by running water in the bathtub to look for any water leaking directly below the bathtub. The easiest way to do this is by removing whatever access hatch or panel you might have to cover the plumbing connections. If you see water leaking, it is very likely you have loose connections in the drain fitting or the drain trap below the tub. Repair them as needed. If no leaking water appears while simply running water into the tub, now begin running the shower. If water now begins to appear below the tub, look for signs of water splashing back onto the valve plate, tub spout, showerhead or faucet escutcheon plate. Even a small amount of water can trickle between the walls and through the floor if it gets behind the shower surround. If the tub spout, showerhead, or faucet plate do not seem to be leaking, then turn to the overflow tube as the most likely culprit. A tub overflow pipe has a rubber or neoprene gasket behind it that will get brittle and compressed over time. Water reaching the overflow drain opening goes into the overflow where the gasket meets the tub, and it can leak around the pipe, rather than going into it, if the gasket is old and cracked and fails to seal properly. To check the overflow gasket, remove the overflow plate by removing the screw or screws holding the plate in place. You may need to cut away caulking from around the overflow plate before it will come off. With the plate removed, you can see what kind of shape the gasket is in. If the overflow gasket looks worn, it is an easy fix to replace it with a duplicate purchased at a home center or hardware store. Make sure the gasket is installed correctly and that it sits in the center of the tub overflow drain. Inspect the edge of the tub around the overflow plate for nicks or corrosion that can allow water to seep in behind it. Check to make sure that the overflow plate is screwed tightly into place and that the notch in the plate is facing down. Check the seal on other shower parts, and apply new caulk as needed to ensure water can’t get behind the shower surround.